As many of you may know, part of the Susan Hayward Interiors family is growing in a BIG way. My husband, Christian, and I are expecting boy/girl twins this Spring, and designing their nursery has just been such a blast. Since we both love to spend our time outdoors and do plenty of hiking, we decided to have a “woodland” theme in the nursery. Hopefully our little ones will love adventuring just as much as we do! 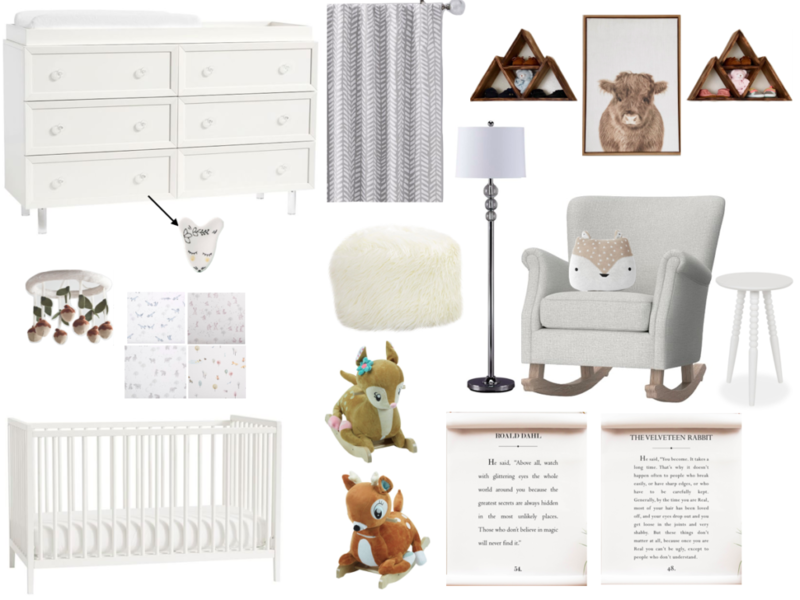 Although I’ve loved designing our nursery, I know for many people it can seem like an overwhelming task. 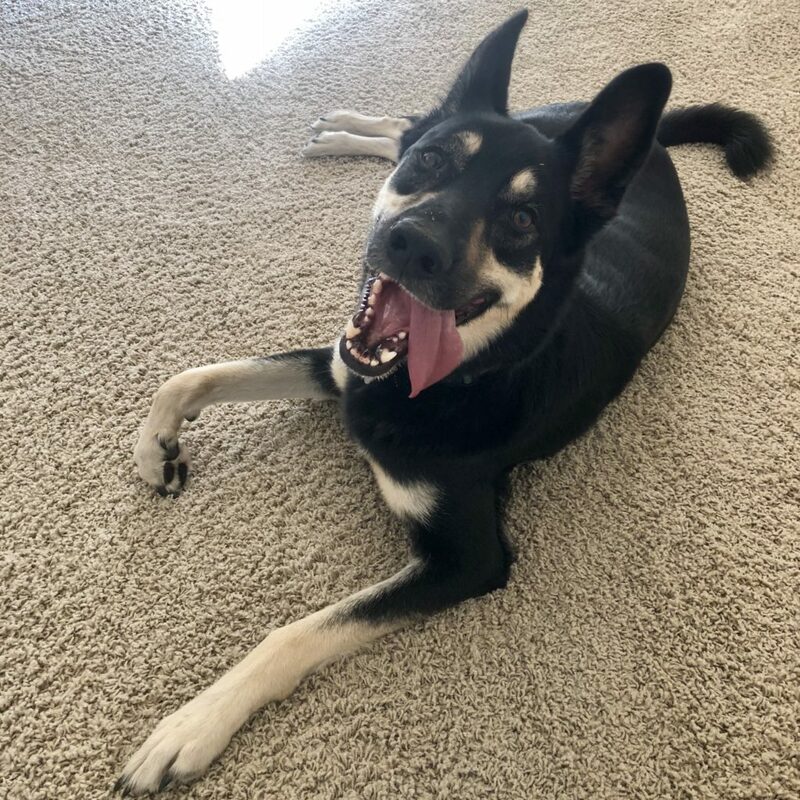 So, I’d love to share with you some tips and tricks on where to start, some of my favorite items, and how to make your space right for you! The first thing to do is to make a list of the bigger furniture items you’ll need (crib, dresser/changing table, chair, etc.) and to decide where in the room you’d like them to be. In our nursery, we have a large window with lots of light that seemed like the perfect spot for a changing table, where our little ones can enjoy looking outside when they lay down. So, for us, the changing table seemed like the best starting point. We decided to make our changing table be a dresser/changing table combo. This saves lots of room having just one larger furniture item (rather than two), as well as extra room in our budget to spend on other baby items. 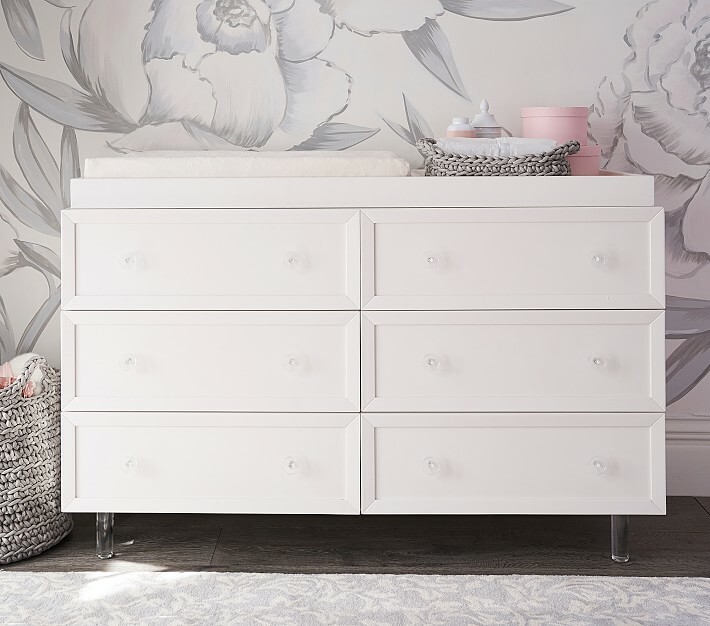 We chose the Monroe Nursery Dresser because it comes with a changing table topper that is easily removed once they no longer need it (we opted for the extra-wide version because with two babies on the way, we need all the extra storage we can get!). 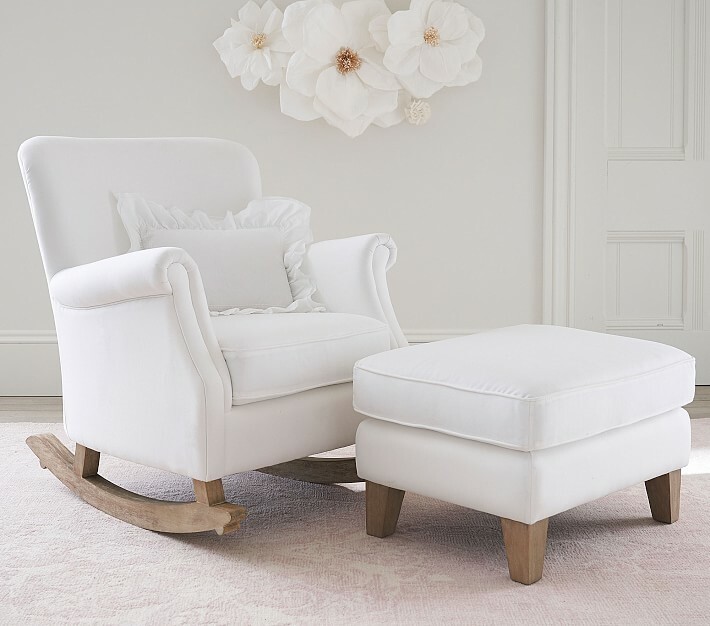 Plus, I loved the lucite legs for a fun twist on a basic nursery staple! 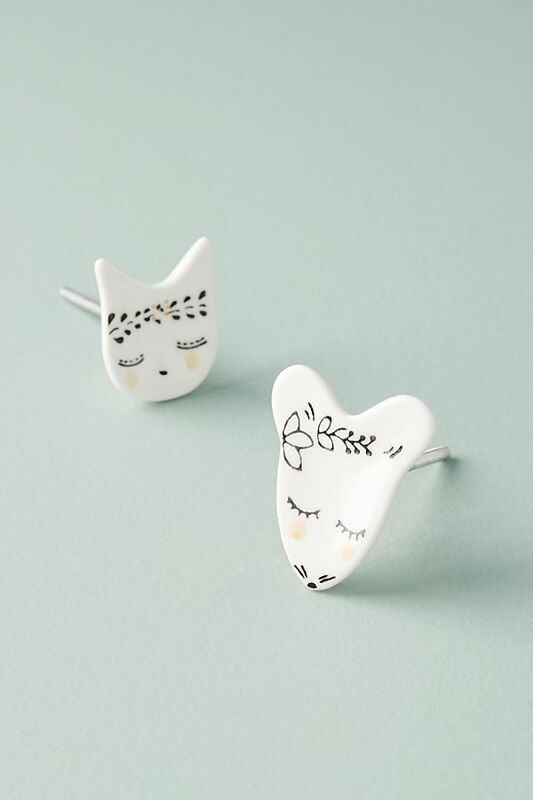 To add a unique touch to this piece, I changed the knobs out for these ones from Anthropologie because I thought they were just so adorable in our “woodland nursery”! The next big item you’ll need to decide on is, of course, the crib (or cribs…plural). There are so many different options out there for style and practicality, so finding the right one can seem a little bit daunting at first. The main questions you’ll need to ask yourself are: What is my budget? and, Do I need a convertible bed option? Once you decide on the “non-negotiables”, you can easily narrow down your options by style preference. For regular cribs vs. convertible cribs, there are several different configurations worth looking into. 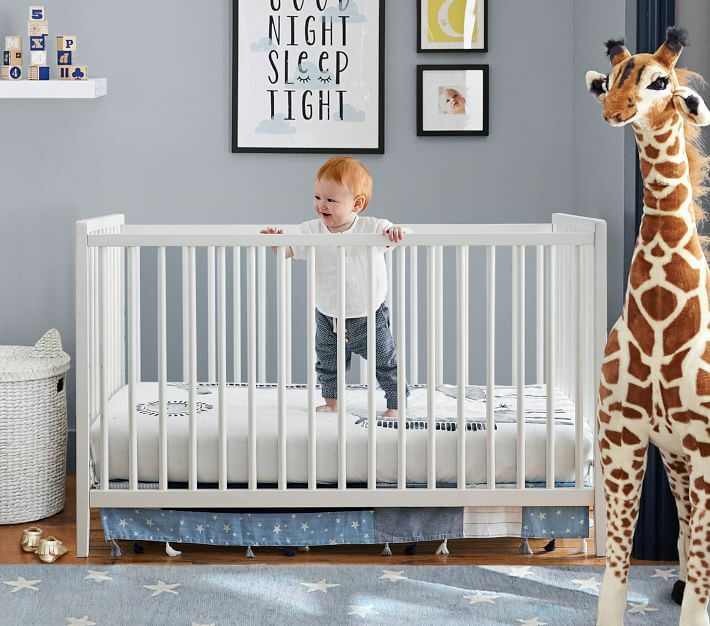 Many cribs nowadays convert into toddler beds, and some even convert further into complete beds with headboards and footboards! We opted for the Hayden Crib for its simple design, convertible toddler bed option, GREENGUARD Gold certification, and great price (for two!). 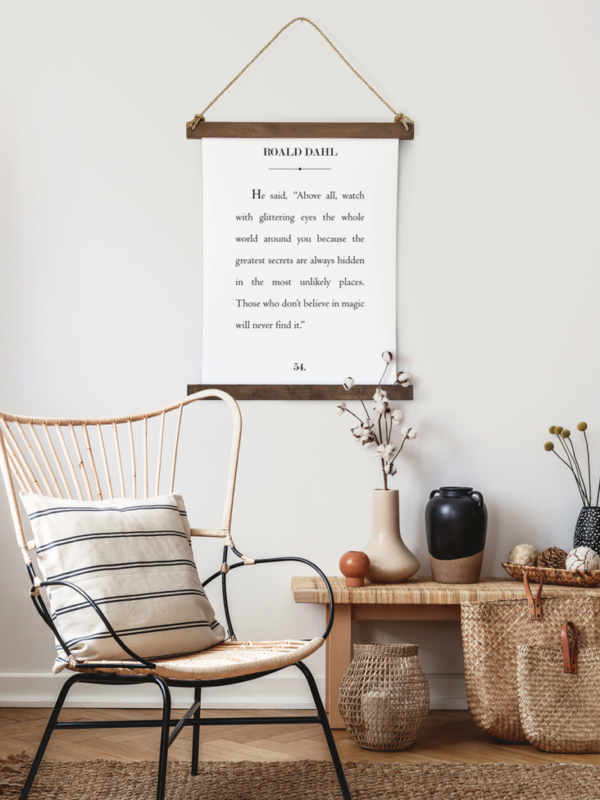 A nice thing to have in your nursery is a comfortable place to sit to soothe, rock, and read to your baby. Depending on the size of your room and your budget, you may be able to choose a recliner, glider, rocker, or even a sofa. Perhaps even add an ottoman or large floor pillow for extra options if your baby has a fun activity mat! The size of the Minna Rocker was perfect for our space, and in a perfect world I would LOVE to have a fluffy pouf to kick back on… but between our German Shepherd, Rocco, and our black and white cat, Jamie, I don’t think it would stay fluffy and white for very long! 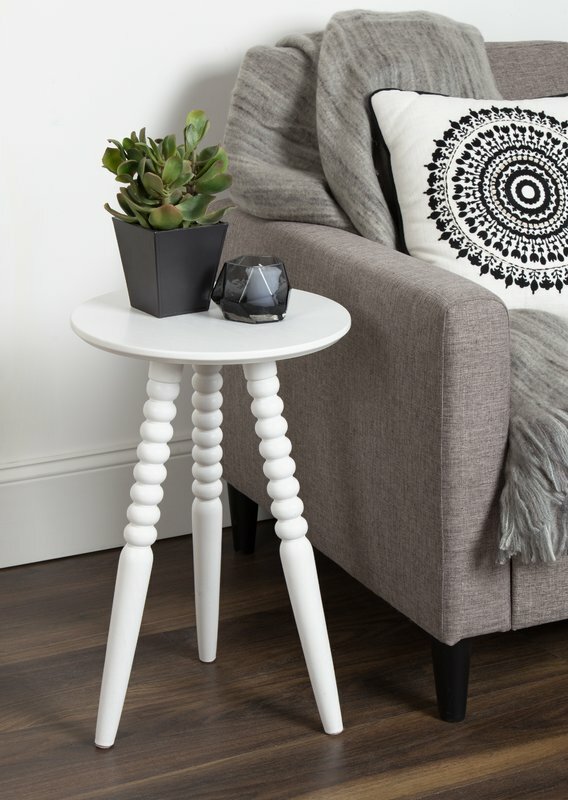 If you have a chair or sofa, you’ll probably want an end table and lighting to go with it. You may also want a cozy rug (that’s easy to clean!) 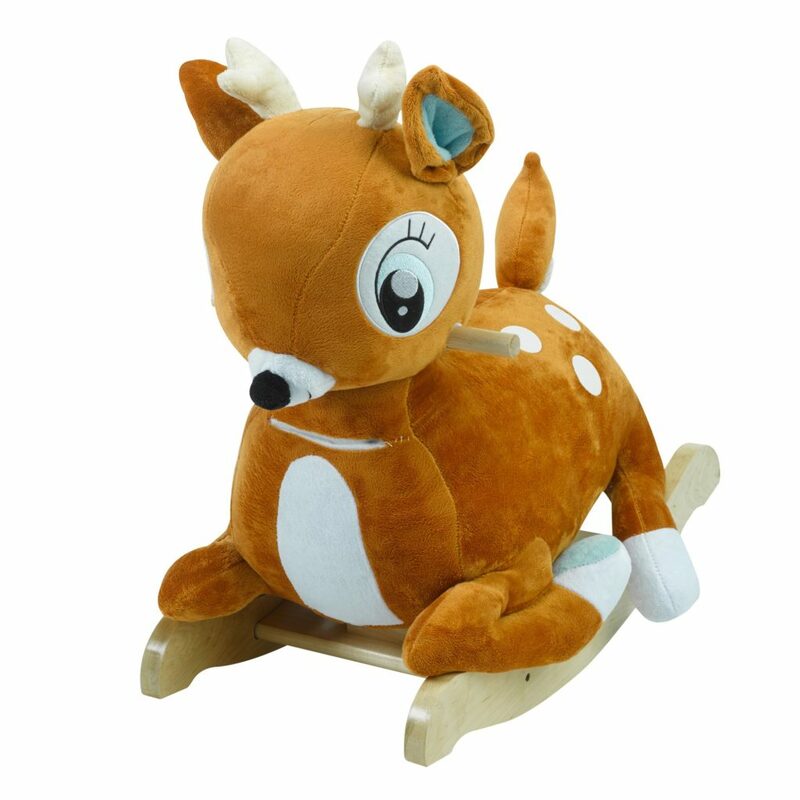 to soften those tumbles when your baby starts to walk. These are easier pieces to “fill in” once you have your larger furniture selected to see exactly what sizes you will need in each and what you are trying to coordinate with. 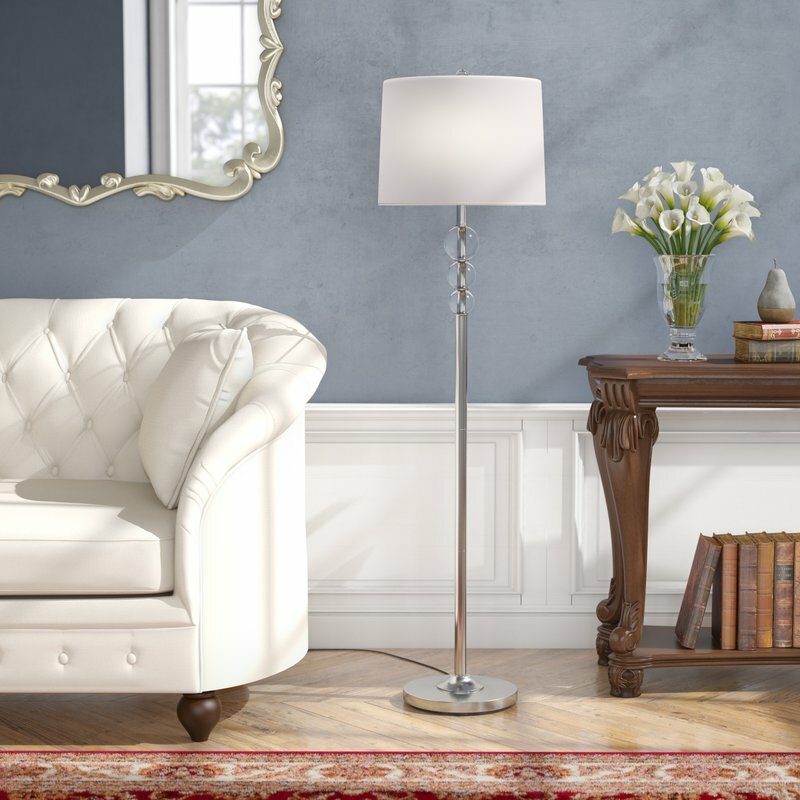 We decided to pair our rocker with an end table on one side and a floor lamp on the other to maximize table space (instead of losing surface area to a table lamp). This is a nice idea if your nursery is smaller- you could even consider an end table with shelves or storage for more space-saving options. Now comes the fun part! Once you have your furniture chosen, you can really get into the creative part of styling your nursery. This is where you get to dig into your favorite theme, color palette, textures, and sweet accents that will give your nursery real personality. 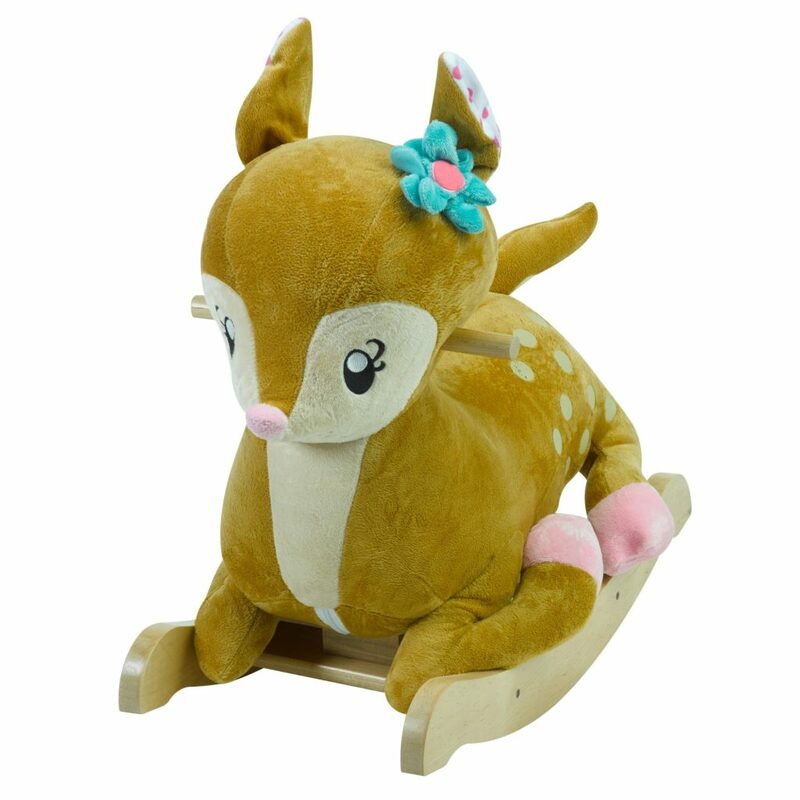 My favorite nursery accessories are the twin deer rockers that were gifted to us by my sweet neighbors growing up. I can’t wait to see our little ones play with these! The best place to start is to decide on window treatments (if necessary). 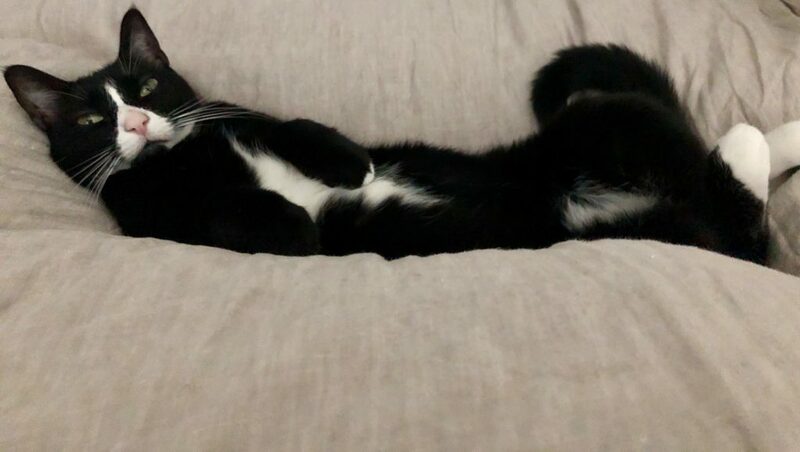 Since the window in our nursery opens to the front of our house and gets plenty of light and outside noise, blackout curtains were the best option to keep the room dark and quiet during nap time. 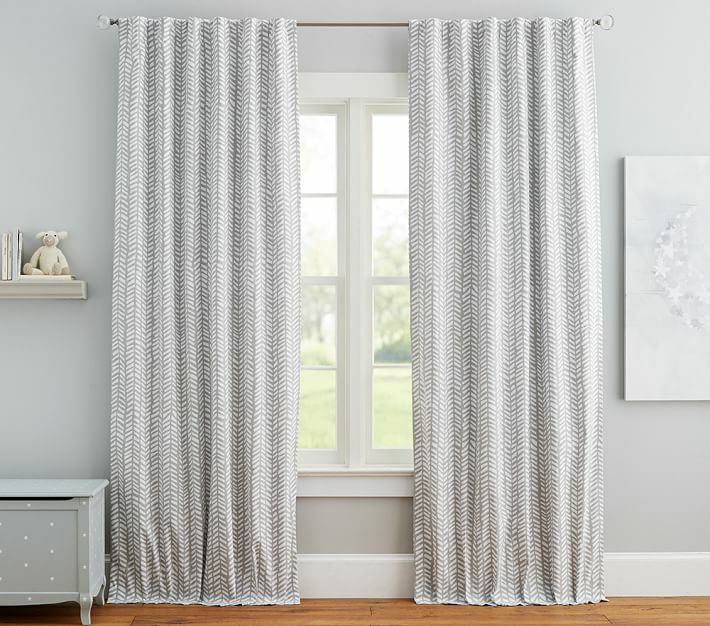 Since I wanted to keep a calming, neutral color palette in the room, I wanted to make the window treatments have a bit of a fun “pop” to bring some life in to the space, so I chose this fun print from Pottery Barn Kids. Now that you’ve decided on a print and/or color for your windows, you can start to fill in all that extra wall space. This is often a daunting task because it can feel like the options are endless. To help you get started, ask yourself: Could I use extra shelving for storage? Do I want a mobile for over the crib? Would I like to hang some wall art or photographs? 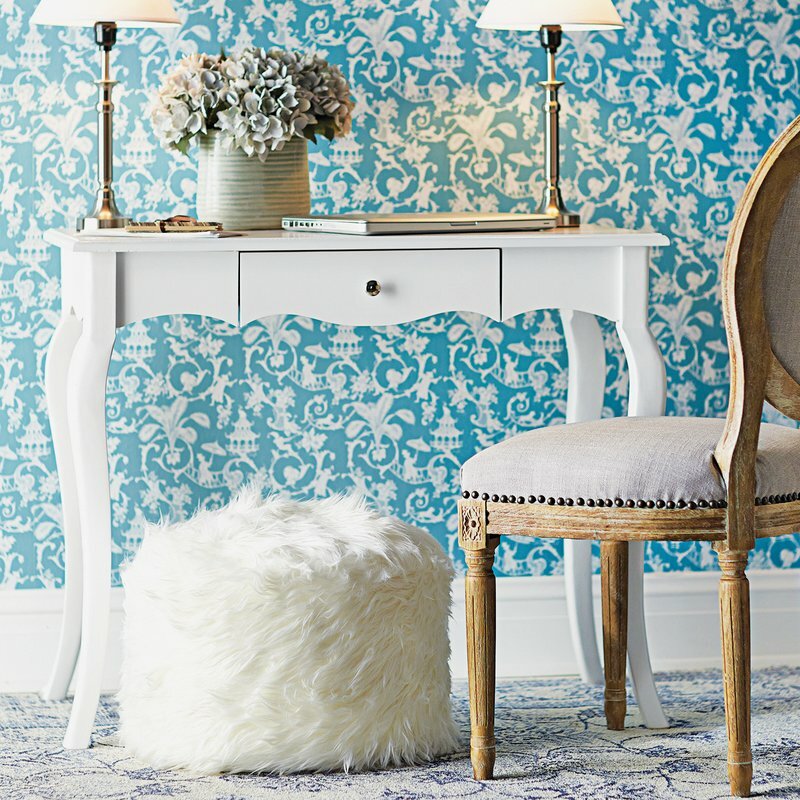 Would I like a wallcovering? In our nursery, we placed two cribs on the same wall, so I had lots of empty wall space to cover. 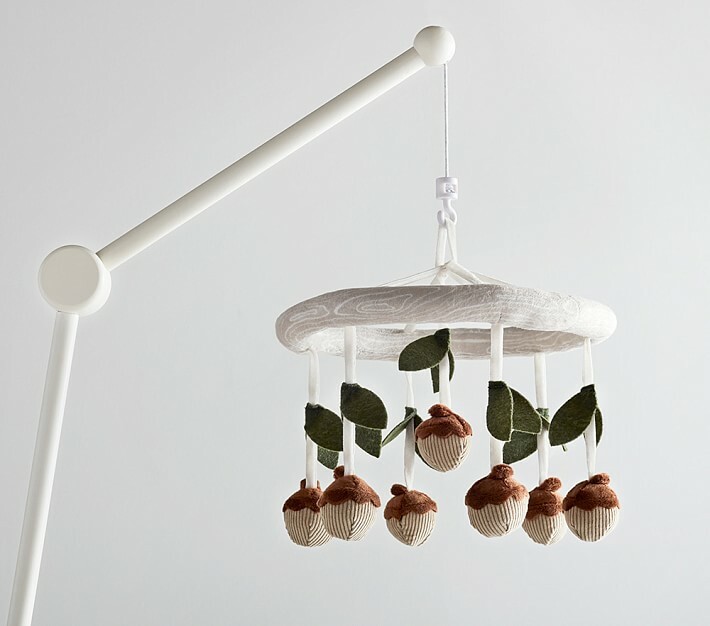 Going with our theme, the Woodland Crib Mobile plays “You are my sunshine” as the adorable little acorns go around in circles, (hopefully) lulling our little ones to sleep, so of course we had to choose one of these for each crib! After that, I filled in the extra wall space with some art I found at various shops. 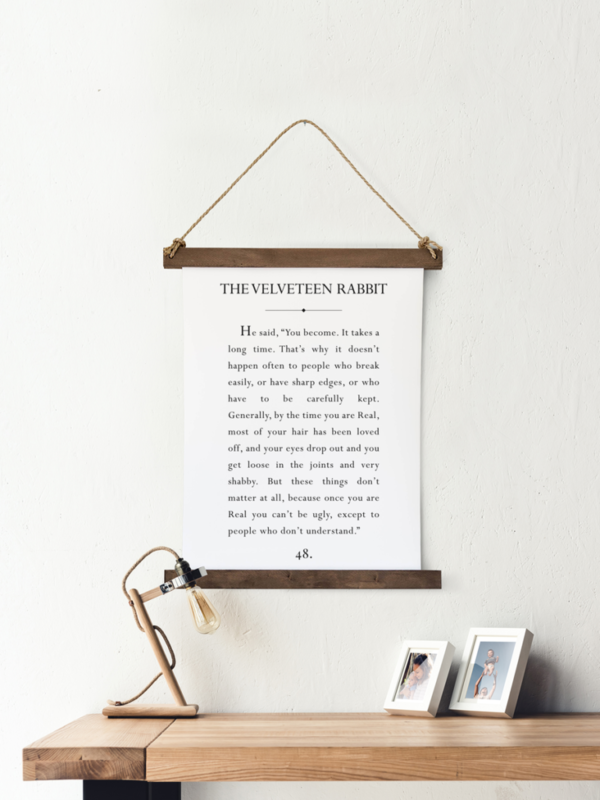 Above each crib, I chose a hanging canvas print with a sweet quote that I love from some favorite children’s stories (plus, the Velveteen Rabbit has always been my favorite book). 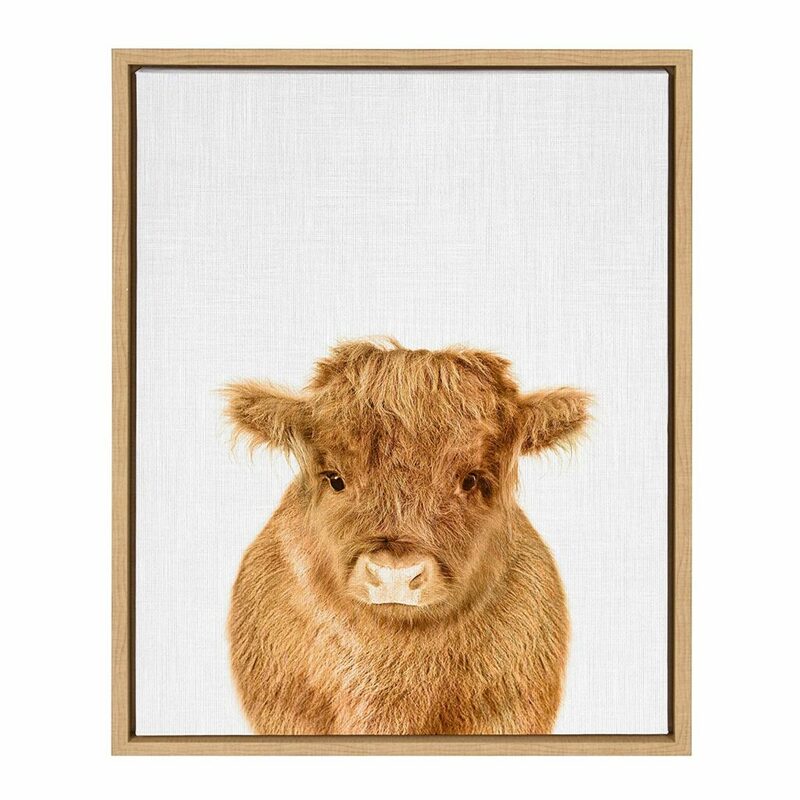 For the adjacent wall above our rocker, I found an adorable baby cow photo that I couldn’t leave HomeGoods without. (For those of you who don’t know my husband, he is a Naval Aviator whose callsign is “Beef”, so we just had to have a “baby Beef” in there somewhere!) 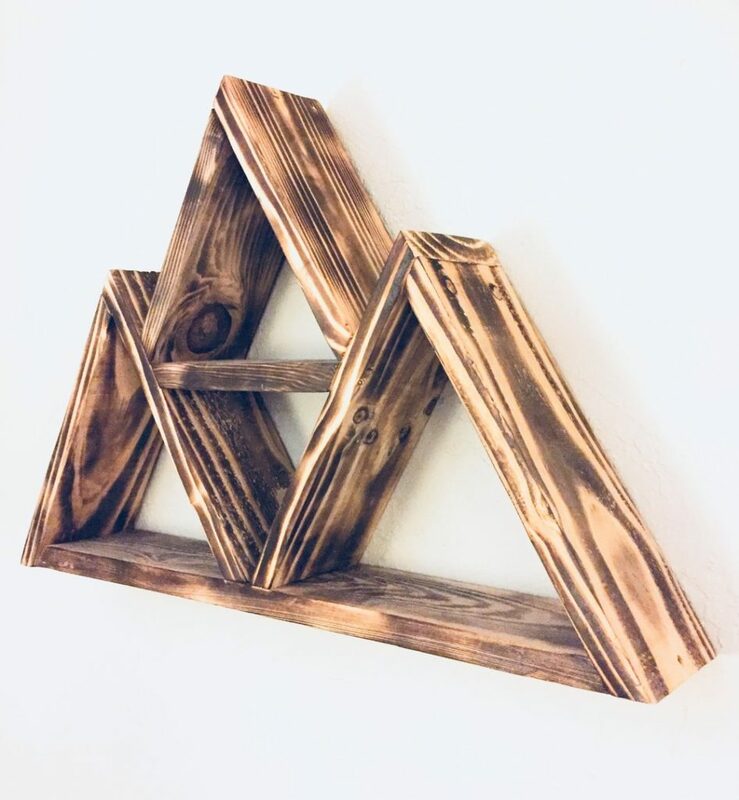 And to frame our new “baby Beef” picture, I fell in love with these Mountain Shelves from an artist at our local farmer’s market. Her shop, Reclaimed Goodness, always has some of the most unique shelves and pillow covers! 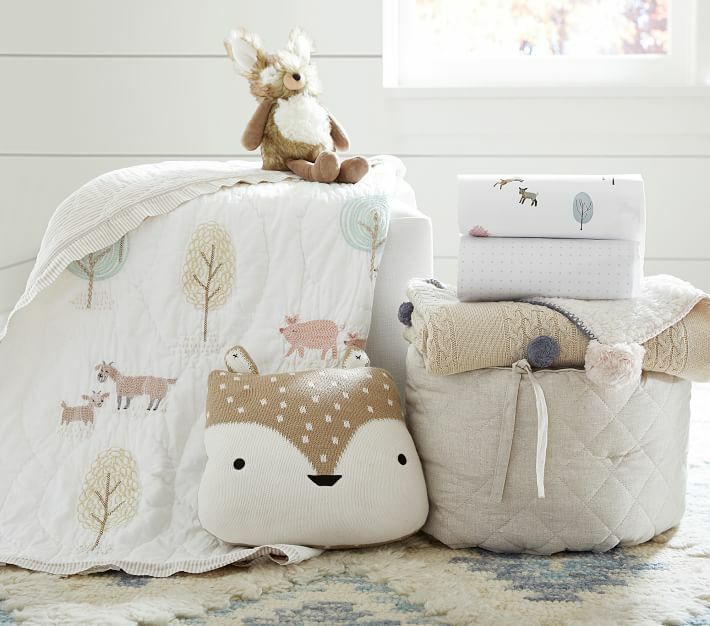 Finally, to tie the whole room together, you’ll want to choose crib sheets and perhaps some throw pillows and cozy blankets for your seating area. Just make sure whatever you choose is easily washable! For nursery storage, you may also want to consider a hamper and bins to keep toys and blankets organized. For us, the easiest way to do this is by making the best of our closet space- there are so many different options, so choose whatever helps keep you organized and tidy! What nursery themes are your favorite? Do you have any organization tips that worked well for you? We’d love to hear from you in the comments!